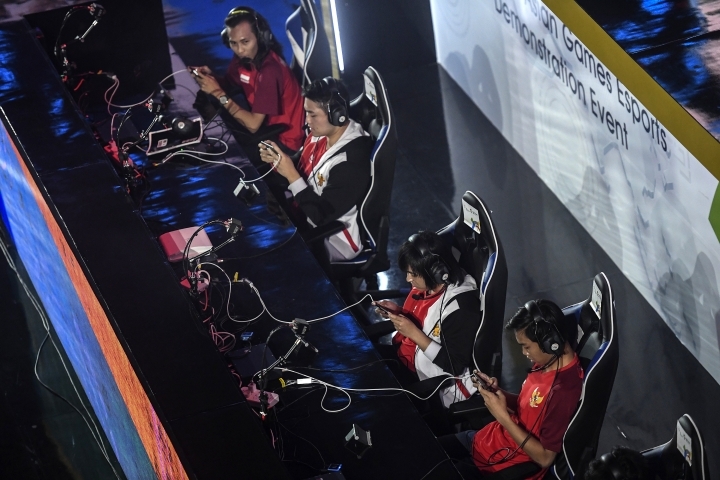 JAKARTA, Indonesia — Esports is debuting as an exhibition sport at the Asian Games and is targeted for full inclusion in four years at the games in Hangzhou, China. "Our agenda is to push for the Olympic agenda," Fok said at the opening of esports at the Asian Games. "This is our work. And this is our passion, this is what drives us. When? I don't know. When, I do not want to predict." 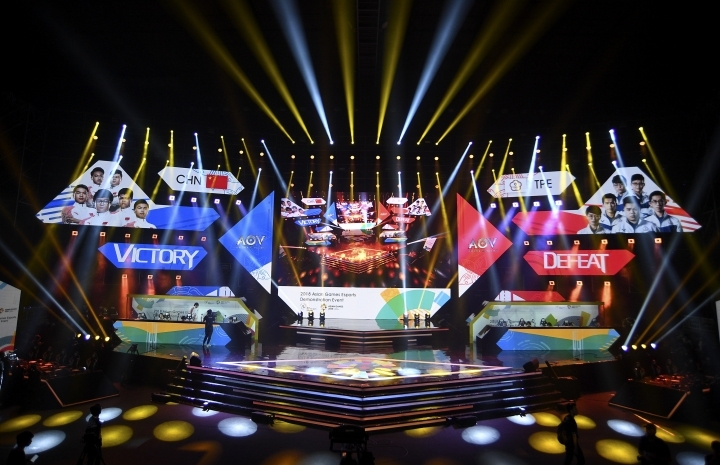 Fok described the inclusion of esports as an exhibition in the Asian Games as "a very good first step" and said the goal is to "take down obstacles, step by step." Fok has strong Olympic connections. His father, Timothy, was an IOC member from Hong Kong from 2001 until 2016 and he remains an honorary member. Gamers don't argue they are athletes, but say they share the same drive to compete. But this could also be said about bridge players — a game also being contested at the Asian Games — or chess, or competitive dancing. But these pastimes can't generate much income — not like esports. "I think esports shares the same spirit with traditional sports," said Wang Tianlong of China, speaking through a translator, after taking gold in Arena of Valor. "No matter if we are esports players or athletes, we all fight to win for our country." Khien Vuong Trung, a bronze medalist from Vietnam in Arena of Valor, said he met initial skepticism. "At the beginning, my parents didn't want me to be a professional esports athlete," he said. "But it is growing in my country. And my parents also saw my love for it. So they began to be supportive." In addition to Arena of Valor, five other games are being played: Clash Royale, League of Legends, StarCraft II, Hearthstone, and PES 2018. Eighteen countries are competing led by South Korea, where the gaming craze took off first. Also included are: Indonesia, Laos, Uzbekistan, Malaysia, China, Hong Kong, Taiwan, Kazakhstan, Vietnam, Pakistan, Saudi Arabia, Japan, Thailand, India, Kyrgyzstan, Sri Lanka, and Iran. IOC President Thomas Bach, speaking last month at an IOC-sponsored forum, said there is a growing connection between the Olympics and esports. He stopped short of saying when — of even if — esports might make the Olympics. But he was enthusiastic about the dialogue. "We feel the same passion for your activity as you feel the passion for our activity," Bach told professional gamer Jake Lyon. Bach said at the forum that the Olympics and esports shared at least two values — "passion and excellence." Bach promised to explore ways the two communities can work together. "On this solid ground we can build a partnership," he said. Esports offers a natural appeal for the IOC, which is looking for a younger audience and revenue. Mike Morhaime, the CEO of Blizzard Entertainment, an American video games developer, told Bach at the forum that esports has 2 billion people worldwide playing electronic games, with 380 million watching esports. He said the viewer numbers could grow to about 600 million in two years, touching potential sponsors, gamers, professional leagues, and game developers. The IOC has already included skateboarding, surfing and sports climbing into the schedule for the 2020 Tokyo Olympics, hoping to draw a younger fan base. "Anybody who enjoys watching traditional sports probably knows that the things that you grow up with are things that you are interested in throughout your whole life," Morhaime said. Nicolo Laurent, the CEO of Riot Games, said esports had 14 leagues and some elite players were making millions of dollars. Morhaime said the demographic of esports was "20 to 40 years younger than traditional sports." "We are at an inflection point in esports," Morhaime said. "Folks who hadn't really been paying attention to the esports phenomenon are starting to really be interested." Count the Asian Games and the Olympics among them. Zhu Pei contributed to this report.